Bailey Fernandez had a scary encounter with brain cancer at the age of 10, but has battled back to fulfill her dream of playing softball at the collegiate level. It started with the headaches. Bailey Fernandez was a typical 5th grade softball player living in Winter Garden, Florida and playing centerfield for her Lady Hawks 10U team when the headaches became more frequent during club ball competition in the summer of 2011. Bailey remembers the headaches that winter were becoming more painful and intense. “I was sick for weeks and my parents would treat the symptoms with Advil and tell me to drink more water,” she recalls. Sunday, December 25th--Christmas morning--Bailey woke up and everyone instantly knew something was horribly wrong. 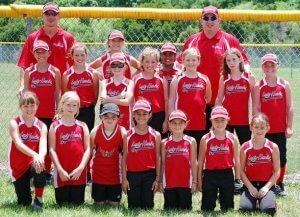 Bailey with her Lady Hawks 10U team a few weeks before cancer was discovered (bottom row, far left). At 8 am the next morning, Bailey was taken to a doctor who looked into the young athlete’s eyes and told her parents to immediately take her to Arnold Palmer Hospital in Orlando about 30 minutes and that he would reserve a room for her. Once at the hospital, an MRI revealed that a cancerous tumor was on Bailey’s brain and that surgery would need to be performed within 24 hours, perhaps taking up to six hours. 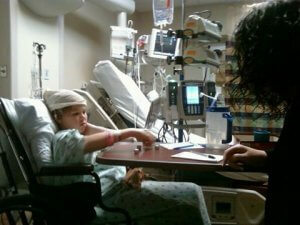 The day after Christmas 2011, Bailey was rushed to the hospital and had a four-hour surgery to remove a brain tumor. Bailey recovered in the hospital and was able to go home on New Year’s Day. After three months of going to the hospital weekly and monthly visits for six months after that, she was cleared to return to the softball field as long as she wore a facemask while playing. 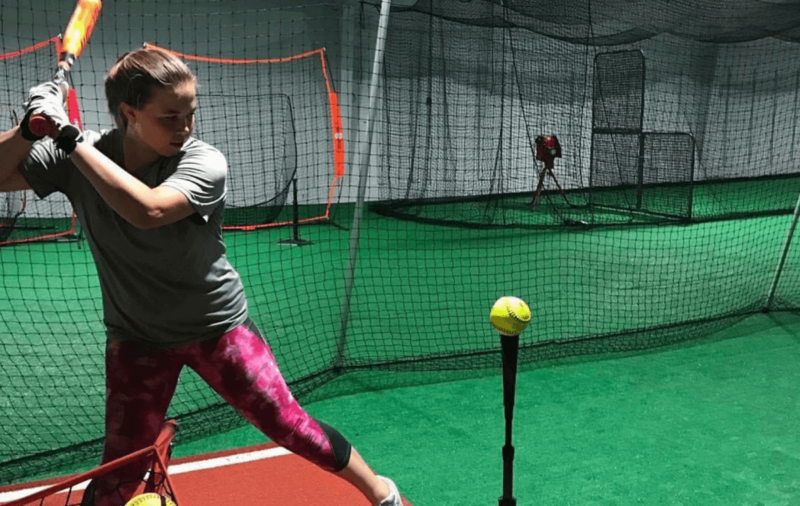 Working with catching and hitting coach Sergio Rodriguez at V2Pro Sports Fitness in Astatula, Florida, Bailey would in time regain her strength and through yearly MRI checks was assured the tumor hadn’t returned. She was officially declared cancer free in 2017. Bailey signed a Letter of Intent in November to play for the Fighting Knights. Today, the 5-foot-7 senior at South Lake High in Groveland, Florida, Bailey has become a talented catcher and corner infielder who also plays for the Windermere Wildfire 18U travel team coached by Wes Pollack. This past fall, she hit .485 with 12 home runs and 31 RBIs for the Wildfire. A power-hitting catcher with 31 career home runs and a pop time in the 1.7 second range, Bailey’s hard work and strong work ethic didn’t go unnoticed and eventually she would receive 11 college offers. 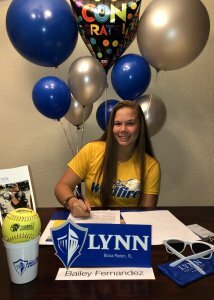 The 17-year-old visited Lynn University, a private school in Boca Raton, Florida that plays Division II softball, in November of 2018 and soon committed and signed a Letter of Intent. 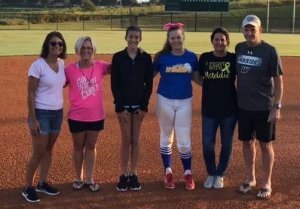 Bailey (blue jersey) with other local cancer survivors before throwing out the first pitch at a PGF tournament in Clermont, Florida. She’s also giving back to those in the community who have been impacted by cancer.